Map location shown is the actual campground entrance, your GPS will probably try to take you elsewhere. Main Arrival Video – Follow us from the entrance up to (but not including) the Palm Circle Loop. Palm Circle Video – Entering the Palm Circle loop, arrival at site 162 and exiting the campground. Weeping Willow Video – Entering Weeping Willow loop, arrival at site 90 and exiting the campground. More campground dashcam videos are available on our dashcam page. 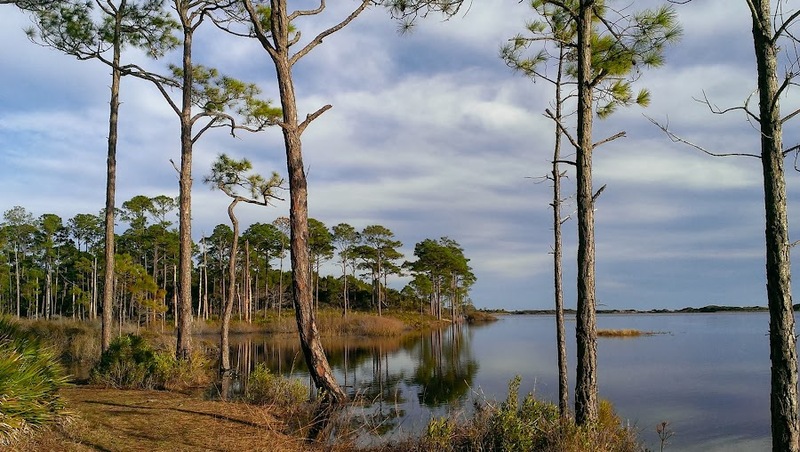 Located on 1,640-acres, Topsail Hill Preserve State Park can accommodate rigs up to 45′ on 156 sites which offer 30/50A service, water, sewer, and cable hookups. The tent sites have firepits but the RV sites do not. However, fires are allowed in your own above ground firepit as long as it is kept on the pad. Other amenities include a small store, laundry facilities, a non-heated swimming pool (if you don’t want to swim in the ocean), ranger programs, shuffleboard and heated/cooled bathrooms with showers. It appears to be well maintained – during our visits, we have seen staff members out blowing the pine needles and leaves from the wide paved streets and from the sites. Click for PDF of campground map. Click for PDF of full brochure. 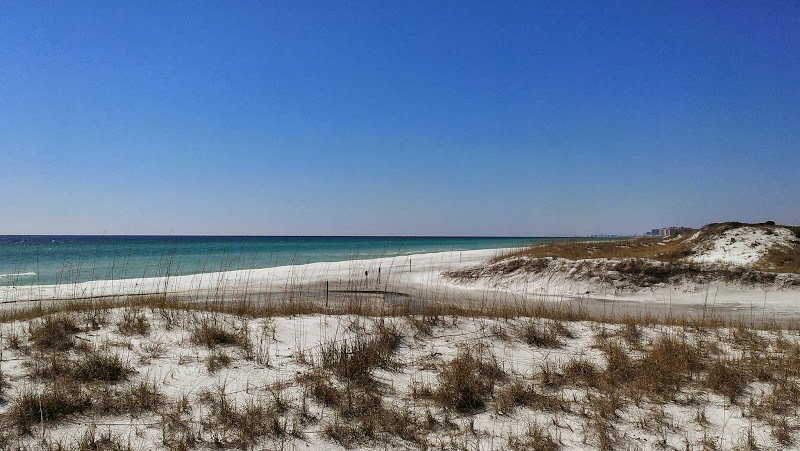 About a mile from the campground, via a paved trail, are 3.2 miles of a beautiful white sand beach surrounded by 25 foot tall dunes. Visitors may bike, walk, or enjoy a quick ride to the beach on the scheduled tram service to swim, fish, sunbath, or beachcomb. Until March 1st, the tram runs every two hours, after March 1st, it runs every hour. Update March, 2018: The park will be upgradingcertain portions of the park for visitor safety and enjoyment. As a result, sites #2 to #24 (campground loop #100) will be undergoing some highly anticipated improvements including electric, water and sewer upgrades. Construction is anticipated to begin in the fall of 2018. Reservations will not be available for these sites. 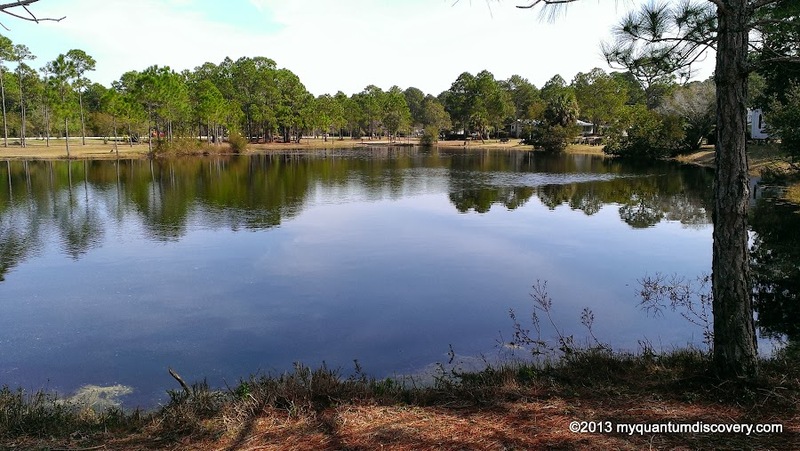 With a daily rate of $42/night for an RV site during peak season, this very popular park isn’t the cheapest FL state park, but in this instance it is all about location, location, location! 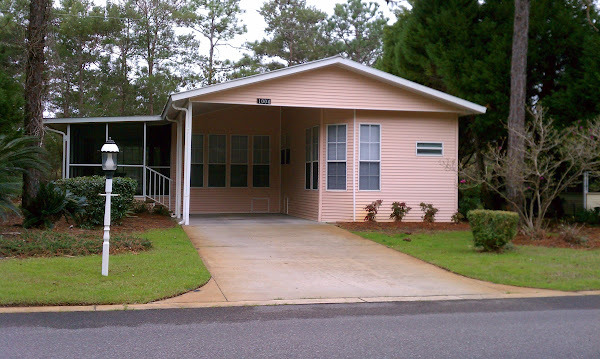 FL senior residents can receive a 50% discount. Reservations can be made via Reserve America. In addition to the RV sites, there are also eighteen 1 bedroom bungalo ws ($100/night), sixteen cabins ($130/night for up to 6 people) and twenty-two tent sites ($24/night). 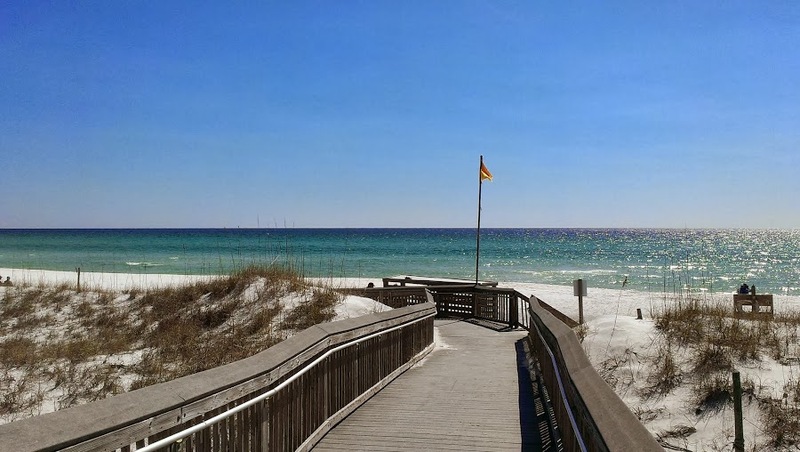 Despite the fact that Topsail is located in the cooler Florida panhandle, during the off season winter months of January, February and March, it is one of our favorite state parks. Guess that is why we keep returning to it every winter. Very wooded sites which are well spaced and offer some privacy. 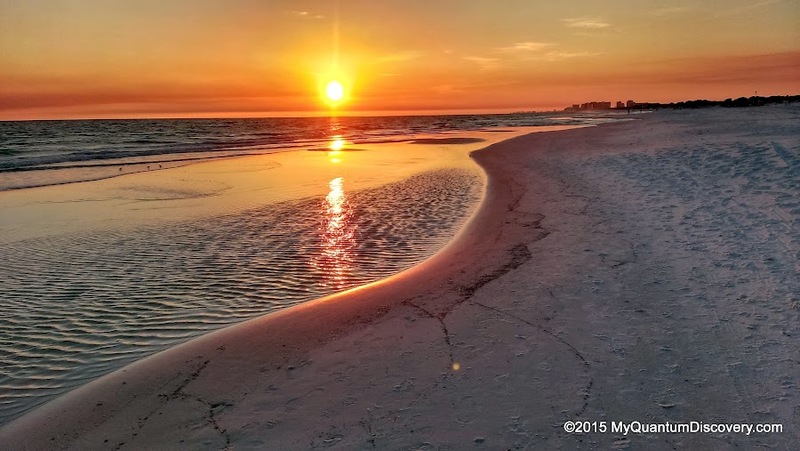 Even though it is not right on the beach like some other parks in the area, all sites are full hook up and it is just a pleasant one mile walk, bike ride or tram ride along a paved road to the beautiful, pristine white sand beach. There’s also a paved biking/walking trail to nearby Lake Campbell and numerous other natural trails. In 2018, we had reserved site #87. Although the site itself was fine (no satellite reception however) but when we parked our car in front of our coach it blocked the driveway of the pull thru site next to us (#89). It wasn’t a big deal but more of a nuisance because if our neighbors left, we had to move our car over to a parking area to ensure that the new arrivals could pull into the site. To extend our stay we had to move to site #11, located closer to the entrance of the park. There was good satellite reception from this site. Sites range in size from 34′ to 45′ in length so there are many that will accommodate big rigs. The bigger sites are located on Palm Circle which is the newer loop in the park. In most instances there is vegetation between sites so there is some privacy. 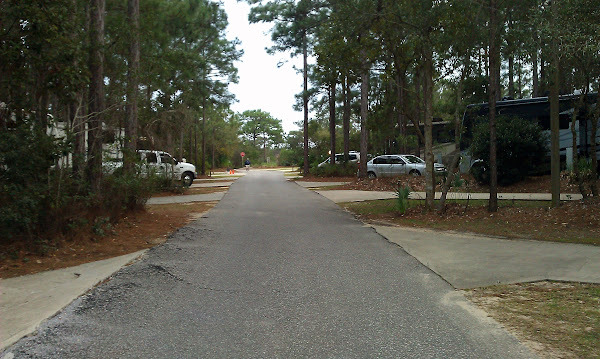 Exceptions are the sites located a short distance from the store (sites #2 – #21) – they are less wooded and more out in the open with little to no privacy. 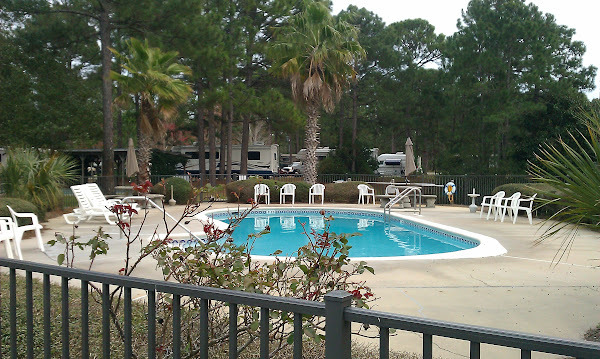 In general the “Palm Circle” area of the campground is the newest and in our opinion has the nicest sites. Weeping Willow also has several excellent sites. The remaining sites are mostly all fine but perhaps somewhat less private. Full hookup sites with water, 30/50 amp electrical and sewer, cement pad, picnic table, swimming pool (non-heated), fishing pond, a small store, shuffleboard, amphitheater for ranger programs, hiking/biking trails, nature trails, two large ADA bath houses and a laundry facility, picnic pavilions, 3.2 miles of white sand beaches on the Gulf of Mexico for swimming and/or fishing, a shower station for rinsing off at the beach, canoeing/kayaking, geocaching, nearby retail and restaurants. Several restaurants within a short drive of the campground. Two Publix grocery stores and Walmart are within a 10 minute drive. Almost any kind of other retail located within 20 minutes. 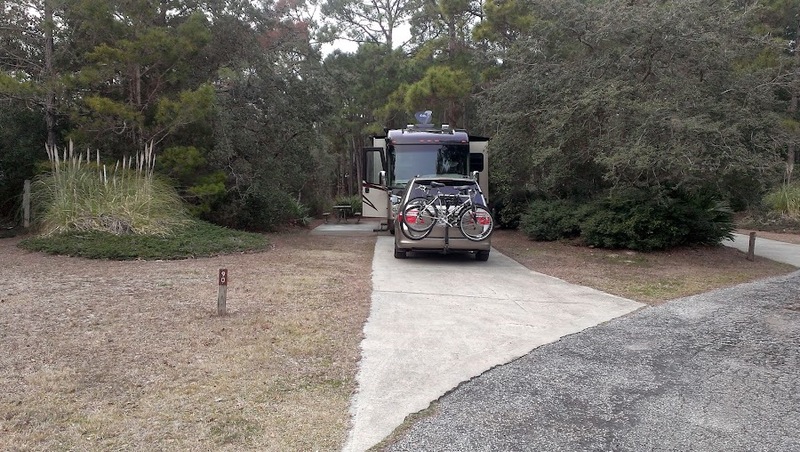 Very natural setting surrounded by old-growth long leaf pines, sand pine scrub and saw palmettos, the campground offers a feeling of seclusion even though it is not too far away from a fairly busy retail area. At night, you can hear the waves crashing on the beach from the campsites. Entrance roads into the campground are paved and wide. There is a large parking lot near the entrance gate that can be used for unhitching. Roads within the campground are a little narrow in some spots and can be a bit tight with oncoming traffic. However there is no intruding vegetation and we have never had any issues with our 43′ tag axle rig. Some road sections are in need of repair as are some of the campsite pads. No problem maneuvering the wide roads within the newer section (Palm Drive). We have not had any problems backing into any of the sites we have stayed on. It is generally quiet here except for the usual noise created by other campers. Weekends naturally bring younger campers and the noise level of course increases. During military training exercises there is the continual drone of military jets, helicopters and window rattling explosion like sounds from bombing practice runs and/or sonic booms which can be annoying. Sewer – all sites have sewer. Satellite – depends on the site. For DISH Network, from site #90 we could hit 110 & 119 in the WA (Western Arc) but not 129, EA (Eastern Arc) 61.5 was fine. From site #138 we got 110 & 119 but not 129 or 61.5, however a tripod dish at the rear of the site got us 129. On site #162 we were able to hit 61.5 only. On site #140 we hit all sats in the Western Arc (110, 119, 129) despite several trees that appeared to be in the path of the dish. WiFi – WiFi here is free but only available in the store. Cellular signal – Verizon 4G is good inside or outside the coach without a booster but has occasional congestion issues. Over-the-Air (OTA) TV – OTA TV reception is practically nil – we received only CBS & PBS and both were marginal with frequent pixelization. Cable – provided at no additional charge. We did not use it but based on comments from other campers it is decent and includes some HD stations. Power – 50/30/20A on all sites, all sites we have been on had 118+ volts on both legs, no errors or issues. Water Pressure/Quality – Good pressure at 45psi, very slight Florida “swampwater” odor with a hint of chlorine, but tasted fine with no noticeable turbidity or discoloration. 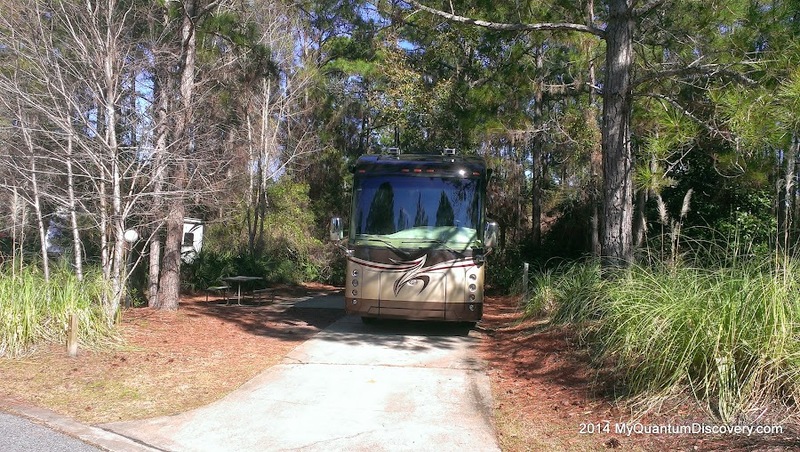 – Clean, well maintained campground. 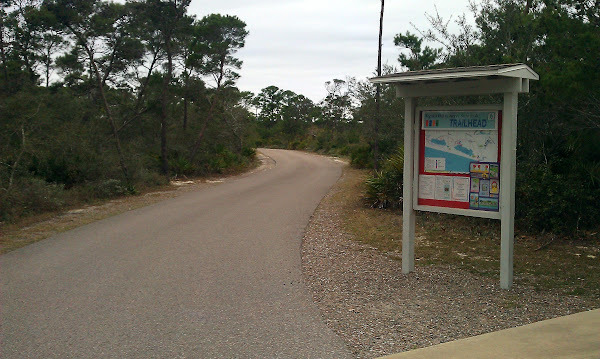 – Nature Trails, beach and lake trails are fully paved. – Beautiful white “squeaky” sand beach is within walking distance or by bike or tram. – Noise from military training exercises nearby.